Once you have designed your website, you need a quality web host. This can be your ISP or a specialized web presence provider. Here are some things to consider when choosing an ISP. Determine the purpose of your site. Is it a family site can you host it on a free web hosting service? Most of the major search engines offer free 'home pages'. If you’re unfamiliar with HTML, make sure that your web host offers the ability to manage and upload new files or photos without any knowledge of HTML and FTP. Determine whether web host offer easy to use web page editor. Determine whether your web host offers you the flexibility to make your own directories and use advanced features if wanted. Determine whether they give site statistics and the information you need to make promotion decisions to help get your site to the top. Does your provider provides you with any extras like marketing, point and click, traffic and site building, and/or powerful graphic tools? Determine what options you need now or in the future. Does it offer an easy upgrade to more advanced hosting solutions when you require them? In addition, you might also consider what options you may need in the future, how easy it is to change domain names, and/or upgrade to more advance hosting solutions. Just remember that you typically get what you pay for in a web hosting company. 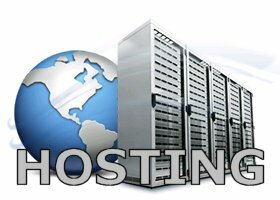 It is worth paying a higher monthly fee to host your site with a good hosting provider. You’ll not only get great service but you’ll also get the peace of mind that your site is up 99.9% of the time and that visitors can access your pages fast. I recommend in general one service for hosting of your website. One service which I recommend with closed eyes now, is Site Build it by Dr Ken Evoy. Not only I know how high quality service he offers but I also know how successful are some of his customers due to tools he is providing virtually for free. He is adding new features all the time and the price stays the same. Check it out here if you don't have hosting company yet. Here is what David says about his business when I asked him how is his company different than others. You see most hosting services try to pack as many websites as possible onto a single piece of hardware called a server. I’ve seen a server with as many as 150,000 websites being “hosted” at the same time. Typically though a single server can handle 500 to 600 “normal” sites before it starts to slow down and crash. IF your website seems slow and is down a lot this could be the reason why.Now at Warp Drive Enterprises we feature Warp Speed Hosting. We never put more than 500 or 600 sites on a server to begin with. We also monitor everything going on in the server to ensure that everyone is getting the absolute fastest performance their website is capable of delivering. This means your site loads faster and has fewer errors than one on an overloaded server. This is important because the search engines *do* factor in the time it takes a site to load or how often it is “offline’. All else being equal, a site on Warp Speed Hosting will do better with the Search results than a site sharing a server with 149,999 other sites.